The Fatima's Garden stacking rings collection by Thomas Sabo are ideal for those who love to mix and match their jewellery. 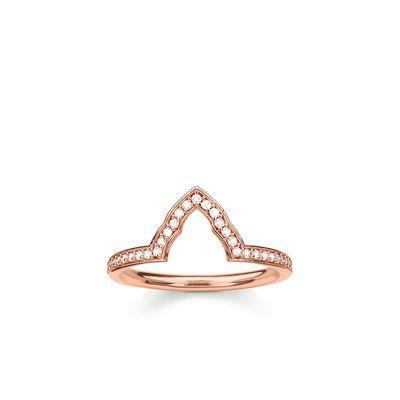 This 18ct Rose Gold plated Sterling Silver ring features a unique temple shape that is adorned in glistening white cubic zirconia. This elegant addition will stand out in any ring stack adding sparkle to your look.